Previously only available as a bootleg of the original ‘Rockpalast’ German TV broadcast, this crucial showcase of Rainbow at their peak is an essential introduction to Blackmore fans who were probably too young to see them live in their heyday. This live concert is most interesting in that Blackmore had only just arrived from a couple of nights in jail following a physical assault on a security guard 2 nights earlier. The previous night’s show had to be cancelled and this gig was in danger of being cancelled too, but Blackmore arrived in time to perform although it did finally start over 3 hours late (Dio thanks the crowd for their patience during the show). 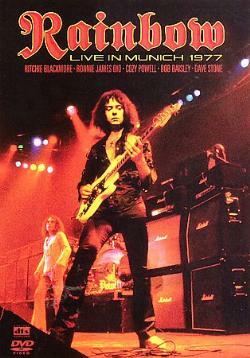 The concert is a superb showcase and Blackmore seems determined to make up for lost time. All the band are on fine form and it is great to finally have an official release with good quality sound and vision. Essential viewing.